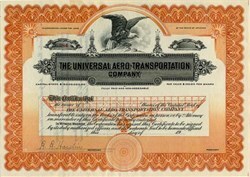 Beautifully engraved signed and unissued certificate from the Universal Aero-Transportation Company. 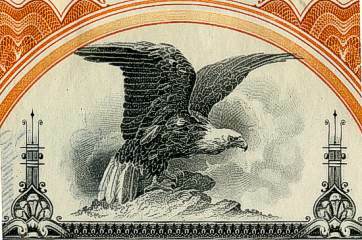 This historic document has an ornate border around it with a vignette of an eagle perched on a rock with his wings open and an underprint of an early three engine plane. This item is hand signed by the Company's Secretary. This was printed around 1915.